This study offers an investigation into how dividends in this environment impact share prices of listed companies on the Muscat Securities Market (MSM). Oman has a unique financial institutional character, with share capital participation; tax-free dividends, local listed shares/capital gains, and interest; profit distribution as dividends; minimal corporate transparency; and continuously changing dividend pay-outs by companies as its hallmarks. This puts Oman in prime position for study of the content of its dividend announcements and subsequent market reactions. In this respect, this study arrived at two findings: first, the premise behind dividend signalling theory maintains that companies use dividends to convey information to the market; and this study finds that dividend information content in Oman aligns with signalling theory, as changes in dividends were found to be positively related to changes in future performances. Second, prevailing theory holds that the conditional high tax on dividends is what makes them informative; and this study finds that in the absence of dividend taxation in Oman, there are other reasons dividends and their disclosed information prompt market responses accordingly—whereby when the dividend announcement is found to be negative in any particular event period, as compared to the same period of a previous year, it is concluded that the Return on Assets (ROA) of the companies also decreases considerably from the previous year. Following an investigation which tested several hypotheses, the findings reflect both announcements of dividend increases and announcements of dividend decreases that are therefore less consistent with the tax-based signalling paradigm and more aligned with the direct interest by companies in dividend movement or change as it demonstrates management’s reporting clout and discretion due to the lack of constrictions/restrictions of taxation, reporting requisites, or accounting rules and regulations. We know, writing a critical analysis essay is quite a difficult task. So there’s nothing shameful to address to custom writing services like Pro-Papers and get a professional help from experienced writers. There is a running dialogue that contemplates the dividend puzzle that involves inquiry into why corporations pay dividends and why investors pay attention to those dividends. A generous body of literature reflects the theoretical conceptualisations of, and practical empirical research investigating this ongoing conundrum. These typically start with the incendiary arguments around dividend irrelevance that reach as far back as the 1960s and dividend irrelevance premise that suggests that the dividend policy of a firm does not affect the value of the firm and therefore, investors place no emphasis on receiving the earnings as dividends or as capital gains. These theoretical and empirical works then move to lines of discussion on the market dividend effect and market efficiency, which reach even further back to the 1950s and then forward in time with the dividend announcement information content theories, dividend signalling theories, which—in contrast to irrelevance views—assign significance to dividends and their impact and propose that the information content of dividends is dispersed upon payment of dividends, information that in turn “signals” with relevant indicators, or with an asymmetry of information, that further impact the market. And the lines of discussion on hypotheses informed by theories on the market dividend effect and market efficiency reach forward to today, with propositions that include those of the information content or information-signalling hypothesis, the substitution hypothesis, the free cash flow hypothesis, and the market efficiency hypothesis, which currently suggest there is a relationship between dividend announcement and stock market behaviour. Oman has a unique financial institutional character, with share capital participation; tax-free dividends, local listed shares/capital gains, and interest; profit distribution as dividends; minimal corporate transparency; and continuously changing dividend pay-outs by companies as its hallmarks. This puts Oman in prime position for study of the content of its dividend announcements and subsequent market reactions. This study was intended to investigate how in this environment dividend announcements, and their content, impact share prices of listed companies on the Muscat Securities Market (MSM). Oman firms announce dividends on an annual basis. This makes for a potential collusion with earnings reporting in a way that can incite market reactions. At the same time, firms listed on the Muscat Stock Exchange (MSE) report on a quarterly basis, so technically, three quarters have already been reported by the time the annual dividend announcements are published. It therefore becomes the goal here to investigate the correlation of dividend announcements and market reactions. And more specifically, by way of event study and regression analysis, this study intended to discern if dividend announcement content impacts market behaviour/pricing in Oman. In an attempt to align with dividend signaling theory in general and efficient market hypothesis in particular (where applicable), this dissertation intended to investigate the impact, if any, on the dividend announcements by firms listed on the Muscat Stock Exchange. At the same time, this study intended to examine and evidence the necessity or lack of necessity of dividend taxation in order that dividend announcements become informationally efficient. An event study was done which was comprised of 100 firms listed on the Muscat Stock Exchange during the event period from July 2013 to July 2014; and a regression analysis was done to calculate market behaviour around the ex-dividend events across 100 listed institutions on the Oman MSM covering the same period. A standard event study methodology was applied to identify abnormal returns on investment (ROIs)/return on assets (ROAs) reflected in the dividend announcements. The findings support the hypothesis that announcement of dividend increases prompts positive market activity—because of the positive nature of the information conveyed by the dividend announcements, and vice versa (where announcement of dividend decreases convey negative information and prompts positive negative activity). The findings therefore align with dividend signalling theory, as changes in dividends were found to be positively related to changes in market performances. Overall, it was concluded that the impact of dividend announcement content on market prices is significant. In addition, the findings also appear to be inconsistent with prevailing theory that holds that (only, or, especially) the conditional high tax on dividends is what makes them informative, whereby when the dividend announcement is found to be negative in any particular event period, as compared to the same period of a previous year, it is concluded that the Return on Assets (ROAs) of the companies also decrease(d) considerably from the previous year. This affirms the notion that in Oman, with the absence of dividend taxation, combined with the ostensibly high leverage and its concentrated ownership trends, the substitution hypothesis is displaced—returning theory to the signalling paradigm that suggests that taxed dividends and capital gains are necessary for dividend announcement content to be informative. That is, accordingly, where Oman does not impose taxes, and where theory holds that taxation is necessary for dividend announcement content to be informative, it was presumed that it would follow that in Oman, dividend announcement content information would be expected to be poor. However, it was also alternately concluded that in the absence of dividend taxation in Oman, there are other reasons dividends and their disclosed information prompt market responses accordingly. The study is an event study that has two important limitations: first, the extent to which this study is comprehensive is limited. That is, the event study used in this dissertation took into consideration cash dividends, but did not extend to specific types (of specific times) such as contemporaneous cash dividend announcements. And second, the event study by nature proceeds with built-in assumptions, those that are not always valid. That is, one assumption that had to be validated included that the target market under study is an efficient one, when, in the case of the Omani market, studies conflict, with some finding some signs of market efficiency and others finding signs of weak-form [in]efficiency. Tired of writing your college admission essay late at night? Then we’d like to present Pro-Papers to your attention. It is considered as one of the best college admission essay writing services that would gladly cover you back! However, first, efforts to make up for the limitations have been taken in this study. 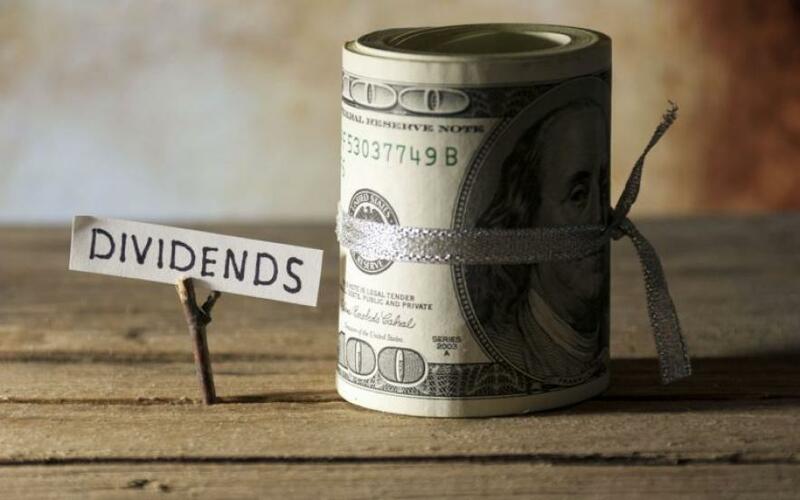 And second, while many studies have been done on dividend content, many more studies have been done to propose and/or evidence dividend theory, and several separate studies have been conducted on region-specific information content of dividends as they impact market behaviour, only one or two studies to date focus on dividends in the unique environment that is Oman. That is, this dissertation spotlights capital structure and dividend policy and explores the determinants including ownership, age, and leverage, etc, as each impacts dividend policy, and not vice versa—and also attempts to cover a phenomenon that is virtually undisclosed in almost any detail at all. In this respect, it is hoped this study might shed light on the practice of dividend announcements in Oman and at the same time perhaps inform dividend policy if not influence future research into dividend policy in Oman. The dissertation begins with a thorough introduction to the dividend puzzle, dividend irrelevance perspectives, and the relevant dividend effect and dividend signalling theories to be used throughout. Chapter 2 is a review of the great body of literature—both theory-based and evidence-based—that exists to propose, explain, and reinforce or negate theoretical conceptualisations of the relationship between dividend announcement content and market reaction(s), including discussions of Dividend Signalling Theory, the Dividend Effect, and the Efficient Market Hypothesis. Chapter 3 offers a discussion of the approach, statistical sampling, and descriptions of the variables used to test the theory and the hypotheses development relevant to the impact of the information content of dividends on market reactions in Oman and on the Muscat Securities Market (MSM). Chapter 4 chapter discusses the findings based on the SPSS model analysis and the five developed hypotheses. And Chapter 5 summarises the findings as they align with aforementioned theory.